Ladder racks, also known as cable raceways and cable runways, are an easy and clean way to organize cables that enter into a data center or server room. 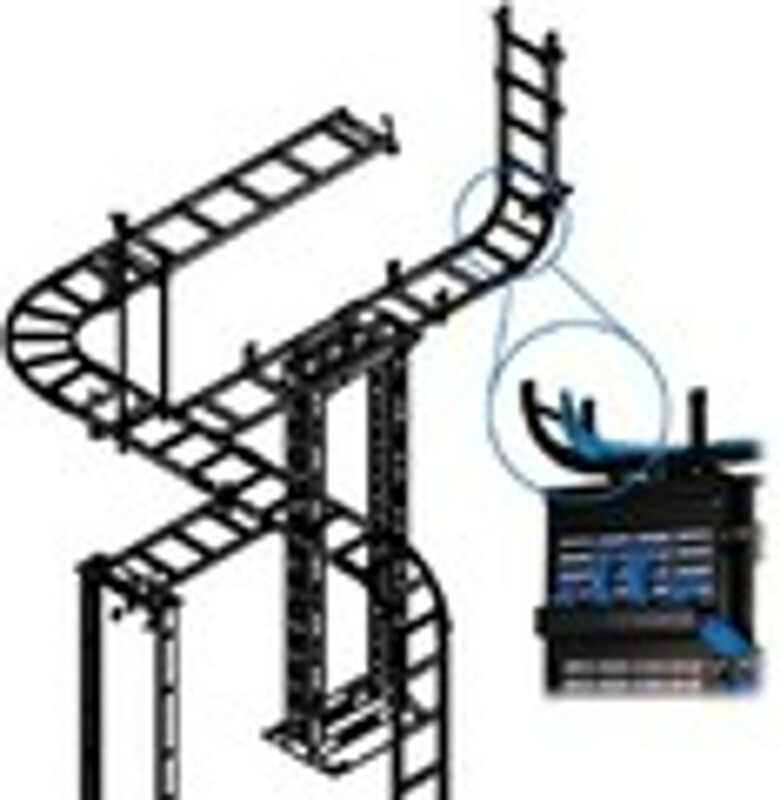 Ladder Racks can be easily mounted to hold Cat5, Cat6, Cat7, fiber optic, or coaxial cable; though, it is not recommended to run electrical cables along the same path for two reasons: ladder racks are made for light weight Ethernet cable, and electrical cables could cause alien cross talk or EMI (electromagnetic interference). There are a number of brackets that can connect ladder racks to each other, a wall, the ceiling, the floor, a data cabinet, or a data rack.